Brindle & Glass, 9781927366479, 224pp. Sue, a disenchanted waitress, embarks upon a year-long quest around the world with her friend, Sara--who's exasperatingly perfect. Expecting a whimsical jaunt of self-discovery, Sue instead encounters an absurd series of misadventures that render her embarrassed, terrified, and queasy (and in a lot of trouble with Philippine Airlines). Whether she's fleeing from ravenous lions, dancing amid smoking skulls, trekking Annapurna underprepared, or (accidentally) drugging an Englishman, Sue's quick-witted, self-deprecating narrative might just inspire you to take your own chaotic adventure. 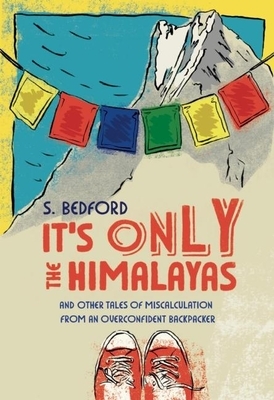 S. Bedford is an indie backpacker who has accidentally locked herself in the bathroom in over fifty countries. She calls Vancouver, Canada home base, and It's Only the Himalayas is her first book.